Bulls Gap School: Highlights - Sail Away with 8th Grade! 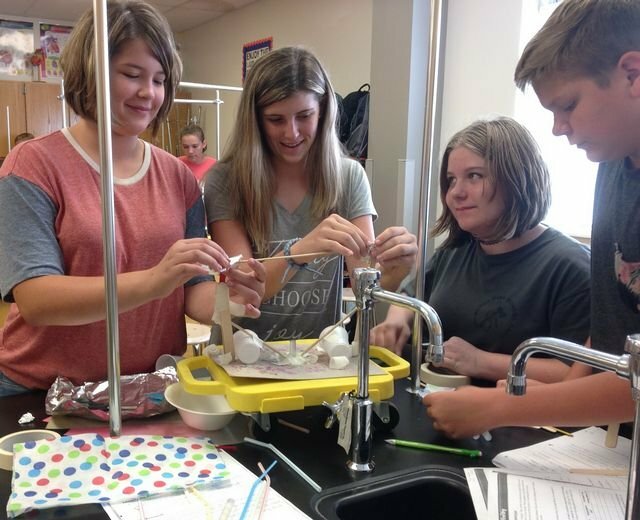 Mrs. Moore's 8th grade was given the task of constructing a land boat. Students identified intended benefits and constraints for their prototype. They planned, designed, and tested the prototypes. During this activity, students demonstrated their knowledge of motion, gravity, friction, speed, and acceleration.